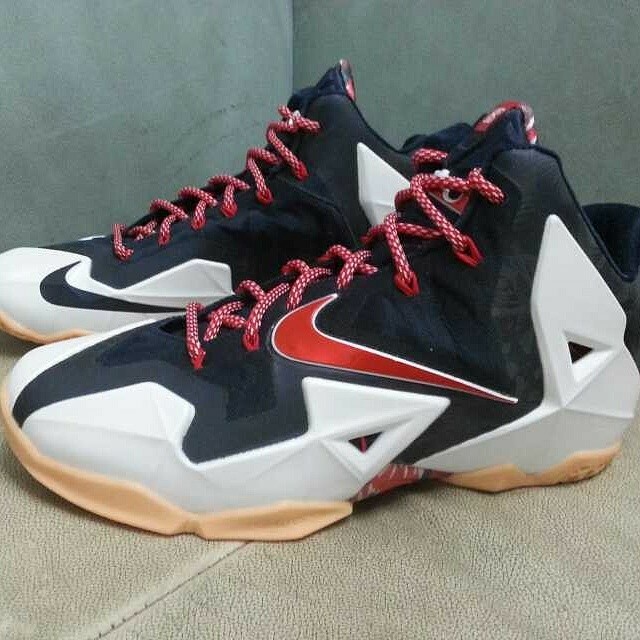 Continuing a Summer tradition of releasing LeBrons in a navy colorway is the upcoming LeBron 11 ‘USA’. 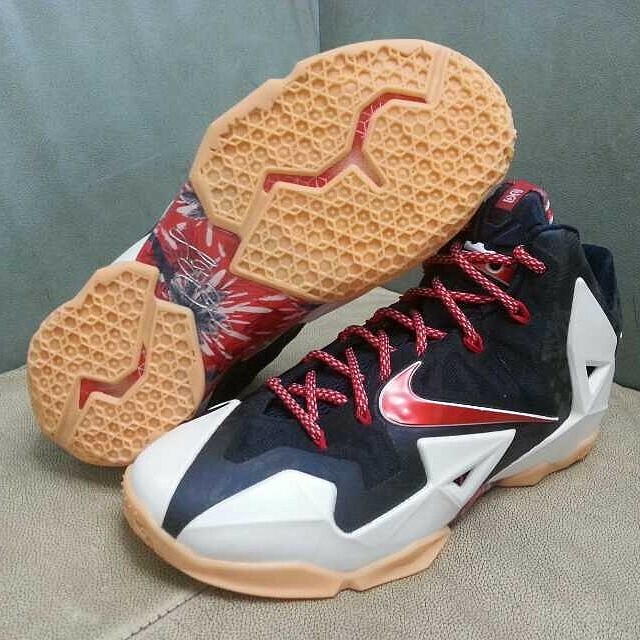 Like the USA versions of the LeBron 9 Low and Lebron 10 ‘Gold Medal’, the LeBron 11 comes with your typical navy, red and white colorway you’d expect. The outsole however, breaks from convention with tan-colored traction making up the bottoms of the shoes. Other unique features include the flat, shiny swoosh on the lateral side and the paint-splatter look on the shank plate between the traction areas. These are rumored to release on June 28th, 2014. Stay with WearTesters.com for a confirmed release date. Let us know what you think of the kicks in the comment below. Also, what do you think the outsole color is? Tan? Gum? Filbert? Tag: america, gold medal, lebron james, Lebron XI, Miami Heat, olympics, u.s.a.
the outsole reminds me of old school skate shoes gum color. 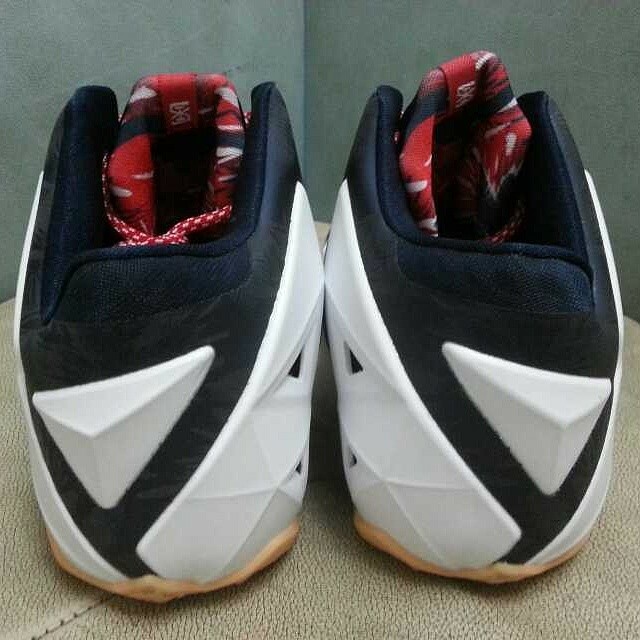 I really like the Lebron XI’s silhouette but this colorway is freaking UGLY. Change the tan to white and the white to blue and I think you have a winner. Or just change the tan to blue. Either way the tan is horrible. 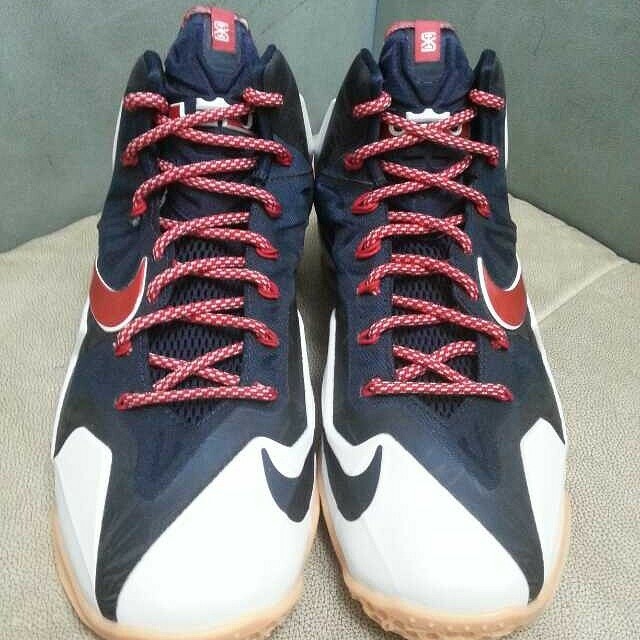 The outsole kills it and a small US flag somewhere on the back would not have hurt. Maybe if the outsole were more of a gold color to keep with the theme? definitely gold speckled or solid outsole would look nicer.